I'm going to sell away all my MGS collection in the upcoming week, including the MGS4 extremely rare and complete french press kit, 2 white ultimate sorters, the black ultimate sorter, the japanese sealed 1st edition of MGS integrals with all stickers, the promo VR mission UK package, the sealed MGS2 premium pack, the extremely rare konamistyle Kerotan and Ga-ko coin banks, the MGS pin's japanese collection, telephone cards, and lots of other rare and promotional MGS stuff. I'm selling everything because I've started to realise I couldn't manage both my Muse and Metal Gear collection, in terms of space AND money, so I have decided to keep what's the most important and essential to me. But I'm going to regret it a lot. Be sure that I am ready to help. And do we get first picks on these items? I would like some that I know you have. Thanks. I guess you guys from junkerhq will deserve to be the first aware of it. I'm not sure yet if I'll use ebay or not, maybe I'll sell the most important here and the rest on ebay, it really depends on how things go. Am I the only one that thinks this is a negative thing? As fellow Metal Gear collectors and people who loves the series how can people not be trying to talk matt out of this? Please don't break up your collection. It's awesome man and I'd hate to see it broken apart and sold off. I understand what your saying violentsnake, but that's how other people like us (and you collect items we want). Someone has to give...........period. If not, then no one would get anything. It's all a big cycle, we will almost all do before we die. I mean we aren't going to have these things forever, as much as we think we are. And believe me, I know how we all feel, we would never sell our most prized items, but there might come a day when we will. So anyways.....................post it up! Haha, I'm ready to buy something. It's one thing for a seller to sell something, it's another for someone to get rid of their entire collection. There's plenty of sellers and plenty of items out there. If mattbellamy doesn't sell his white sorter who cares, I'll find another one. I know matt probably has 5 or 6 items on my want list, so for me to try and discourage him from selling might seem odd, and honestly I'm going to do all I can to persaude him to rethink this. It just seems like he's passionate about Metal Gear, and it doesn't seem like getting a few thousand bucks is worth losing what he worked so hard to get. 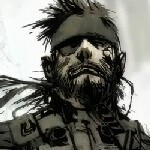 He's not just a guy with alot of Metal Gear items, he's a guy that loves Metal Gear. I say he should wait a few months - and see if he regrets keeping it. If that's the case, then he can still sell everything (I'll end up buying half of it) and get the same money and it'll all be gone in 7 days. The other scenario is if he sells now and he regrets it there's little he can do about it. I mean, he can start collecting again but it'd take months to get everything back, and it'll cost him more to get it all back (shipping, rising values, etc). Now forget about yourself and ask - hey, in matt's case is he better off taking my advice and if he regrets it just sell it down the road (which he could EASILY still do for the same money) or run the risk of selling and possibly regretting bigtime later (which is like 50x harder to rectify than the previous scenario)? Either way, he's a grown man and it's up to him. I'm just trying to be a friend to him and not a potential buyer. At the end of the day I'd get far more satisfaction if my advice helped him out in any way (wether he still sells or not) than it would to just buy something from him. LOL I should shut up until I get a response from matt. He may have already given this quite a bit of thought, I have no idea. We're on opposite sides of the world so our emails aren't exactly back-and-forth heh. Yeah I totally agree with Violent Snake, I too have been through a similar type of thing like Matt where I sold off everything and ended up regretting it. However, I think, having come to this decision, it probably wasn't an easy one to make and now it's been made, I'm sure a lot of thought has been put in to it. Sometimes though, thoughts are all they really are, because you really don't miss something/someone as much until it's gone. I respect your wishes though Matt, you know that already and I wish you all the best with stuff mate. lol, I'm going, I'm going! See you soon fellas and fellettes?! Hi guys, I'm replying here to all the pm's I have received. Thanks everyone for your support, I really appreciate it. I can understand why you're all surprised about me selling my collection, but I've really thought things through. Sure I really enjoy watching everything I have, and I know some pieces I own are very rare, but the main reason is that I just don't have the space and the money to carry on buying stuff. I could stop collecting Metal Gear, of course, and keep everything I own. But I feared a bit with buying so much this summer that eventually I would sell back, like it happened to me in the past. I'm 100% sure that I love and that I'll keep no matter what my Muse collection, maybe because some things I own are unique (and by unique I mean one in the world), but also because their music is connected to someone I have loved in the past, that the first time I went to a gig and bought tickets were for this band, that I've known them since their beginning in 1999, and that whenever I play their music on my piano, I feel a strong feeling. However, with Metal Gear, even though I LOVE the videogames (without any doubt my favourite in the videogame history and I have played hundreds of them), I don't have that little thing that makes me think "I'll keep all this no matter what". I have a third collection aside from Metal gear and Muse, my Saint Seiya figures collection. This is very special to me as well, I was watching the show at its release when I was 4, and there was another figure collection at that time. Then, in 2003 (or 2004 I don't remember), they started another figure series, much more well realistic. I've collected all of them for 2 years, and then I sold everything. Then, one year later, I bought everything back because the nostalgia towards the series was too strong. Yet I'm selling some figures now because I don't display them and I keep only the figures that were in the old series. So anyway, I'm still going to play MGO which I adore and I'll replay all four installments over and over again I guess hehe. I'm just done collecting Metal gear, but who knows, maybe I'll want to get back to it someday, but there's no regret. I'm going to add pictures either tomorrow night or on friday, but here is what I'm starting with. I ship worldwide (the shipping costs will really depend of the object because of the different sizes) and if you buy a lot of course I'll do my best to regroup everything and reduce the shipping costs. My favourite payment method would be money bank transfer (it's very easy ,it's just a matter of some bank codes, I'll have to check how it goes with the international but I've done it before and it's easy as pie) as I have a limit with paypal when it comes to receiving payment. I'll also accept Paypal but will give priority to bank transfer. Well, say no more man. I'm convinced. I had to try though, because honestly even though we haven't talked alot I like ya alot and hate to see you leave the community. Regardless, I'll send you a pm and see if we can work something out. 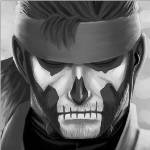 Just so you guys know, I'd REALLY suggest that MGS Integral. Myself and matt are the only two I know of that have these sealed with all the stickers on it. You might not see that thing for sale for a LONG time. I mean, all you guys know how rare the other items are, this is just something people might overlook. Man if he accepted paypal..........i'd be good to go. Now add me to that!